The University of East Anglia is a teaching and research institution with around 15,000 students. Its campus is located in 320 acres of parkland two miles from the city centre of Norwich.The campus has won more than 20 architectural awards, while there is also ongoing multi-million pound investment to enhance research and teaching facilities. UEA was among the wave of new universities created in the UK in the 1960s, admitting its first students in 1963. The university’s core buildings, including the Ziggurats accommodation blocks composed of tiered steps, were designed by Denys Lasdun around a vision for a campus university. In 1978, the Norman Foster-designed Sainsbury Centre for Visual Arts opened to the public, after Sir Robert and Lady Lisa Sainsbury donated their collection of world art to UEA. UEA’s motto is “do different” and it is known for its focus on interdisciplinarity across subjects. The university is also known for excelling in national surveys on the quality of student experience. UEA’s Sportspark, opened in 2000, includes an Olympic-sized swimming pool and hosts international events. The university’s INTO centre, opened in 2007, offers pre-degree preparation courses for overseas students planning to study for degrees in the UK. In research, specialisms range from environment and responses to climate change, through to exploring issues of family and child policy, and to investigating competition and regulation. UEA is a leading member of Norwich Research Park, a concentration of researchers in environment, health and plant science. The university hosts an International Literary Festival, where big names have included Kazuo Ishiguro, Ian McEwan and Anne Enright, all alumni of the creative writing course at UEA. INTO University of East Anglia (INTO UEA) offers unique pathway programmes designed in partnership with UEA. 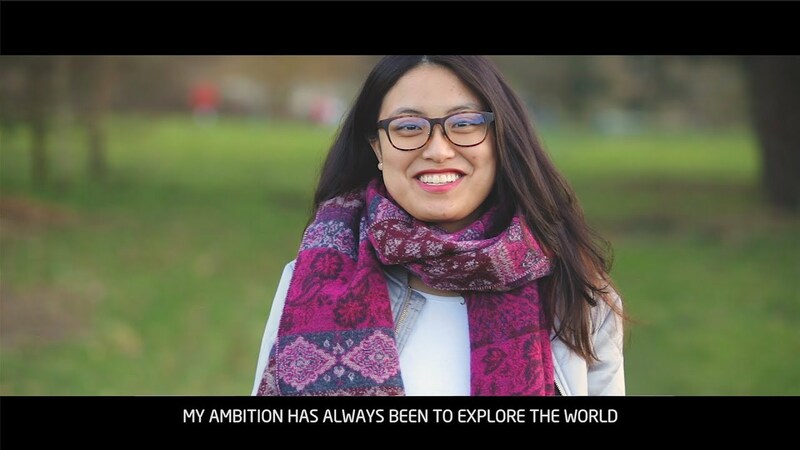 Taught at the INTO Centre on UEA’s campus, these programmes are specially put together to help international students improve their English language skills, boost their academic knowledge, and prepare to study a university degree at UEA. The modern INTO Centre contains all the facilities that students need to live happily and comfortably, including their classrooms, science labs, a lecture theatre, a Learning Resource Centre, free Wi-Fi and student support. Students also live and eat inside the Centre – their accommodation and the INTO Café are both part of the same building. During their time studying at INTO UEA, students are supported academically, emotionally and socially by their teachers, the Student Services team and other Centre staff. INTO students are supported from the moment they arrive, helping them to settle into life in the UK and adjust to their new home at INTO UEA. To find out more about the INTO University of East Anglia centre click here. A three or four-term programme that introduces students to the basics of their subject area(s) to prepare them for undergraduate degree-level study. Alongside academic modules, students also take English language classes and learn study skills. On successful completion of their preparation year, students can progress to the first year of an undergraduate degree at the University of East Anglia. A three or four-term programme that develops students’ understanding of their subject area(s) to prepare them for Year 2 of an undergraduate degree. Students also improve their English language skills in English classes and learn useful study skills ready for university. On successful completion of their preparation year, students can progress to the second year of an undergraduate degree at the University of East Anglia. A three or four-term postgraduate-style programme that teaches students about core concepts and research points in their subject area to prepare them for a postgraduate degree. Students also take classes to improve their English language skills, learn applied research skills and complete a research project about their subject. On successful completion of their preparation year, students can progress to a postgraduate degree at the University of East Anglia. This five or six-term programme is a unique opportunity to study CAIE A levels on a university campus. Designed for high-achieving students with a strong interest in the sciences, mathematics and economics, this programme supports a confident progression to an elite university. Students stay in extra secure accommodation in the INTO Centre on UEA’s campus, living and learning with their classmates from all over the world. On successful completion of their A levels, students can apply to study an undergraduate degree at a range of top-ranked universities in the UK and across the world. Academic English is a fast way for students to increase their IELTS level in order to progress to their preferred degree programme at UEA. Students also learn the academic language in their subject area(s) that they are likely to use frequently at university. Pre-sessional English is for students who already hold an offer from UEA and have the grades needed to progress, but must improve their English language skills before they start their degree. Students focus on grammar and vocabulary relevant to their chosen degree. Study Abroad with English is designed for students who want to spend time in the UK while learning English. The course also has academic modules which enables them to earn a university credit towards the undergraduate degree they’re studying in their home country. For full details of all the courses available at the INTO university of East Anglia centre click here.